The Manor House Hotel is located right in the heart of the quaint cotswold market town of Morton-in-Marsh, Gloucestershire. 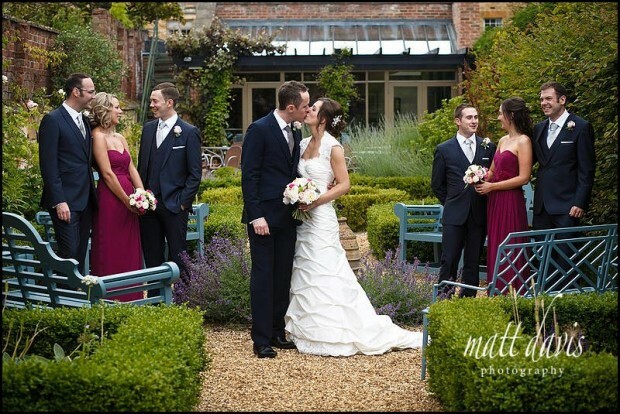 This 16th Century Manor House offers a friendly and stylish wedding venue with lots of character and some great locations for wedding photography. The stylish hotel can accommodate up to 135 guests for either inside or garden weddings under the thatched Breeze House. Manor House Hotel had some major refurbishments back in 2007 after some sever floods in Gloucestershire. As a result this hotel venue had a facelift and now has a clean cutting edge to it’s ye’ole woldy Cotswold style. Parking in the town is hit and miss, but if you sneak around the back of Manor House Hotel they have some complimentary spaces for guests. Inside the hotel there are main areas assigned for your wedding, so should you not wish to hire for exclusive use, other hotel guests tend to be kept very separate. 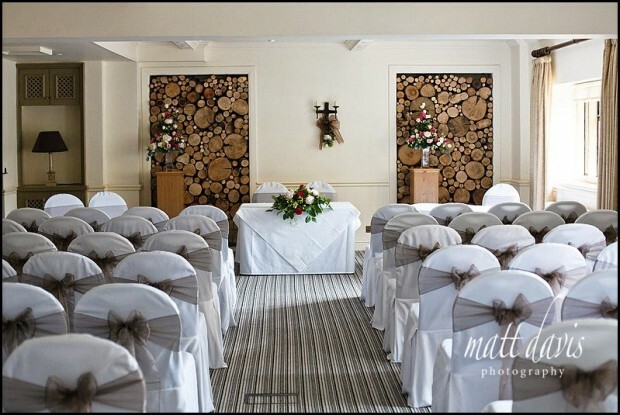 With two main rooms as well as a separate reception area the venue works well for civil ceremonies as they is no need to change the room around after your wedding ceremony finishes. If you can trust the British weather on your wedding day, you may consider an outdoor wedding ceremony which Manor House Hotel also cater for. Outdoor space is very generous for a hotel in the middle of town. The gardens make for great wedding photos and there are options to use indoor space for some couple shots, or smaller groups if really necessary. I’m pleased to be a recommended wedding photographer at Manor House Hotel, where you can view one of my sample wedding albums. 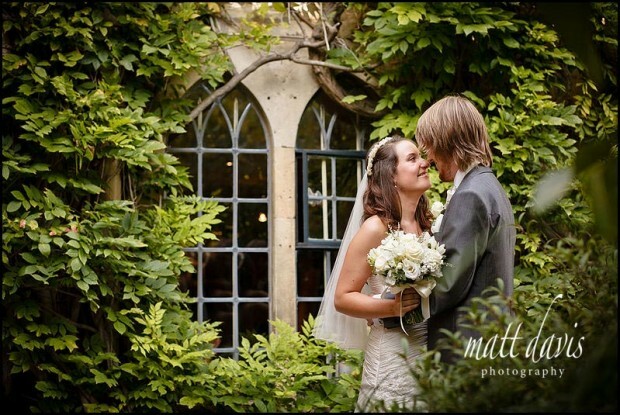 You can see examples of weddings I have photographed at Manor House Hotel on my blog too. I’ve photographed several weddings over the past few years at Manor House Hotel, please read the wedding testimonials from those clients.